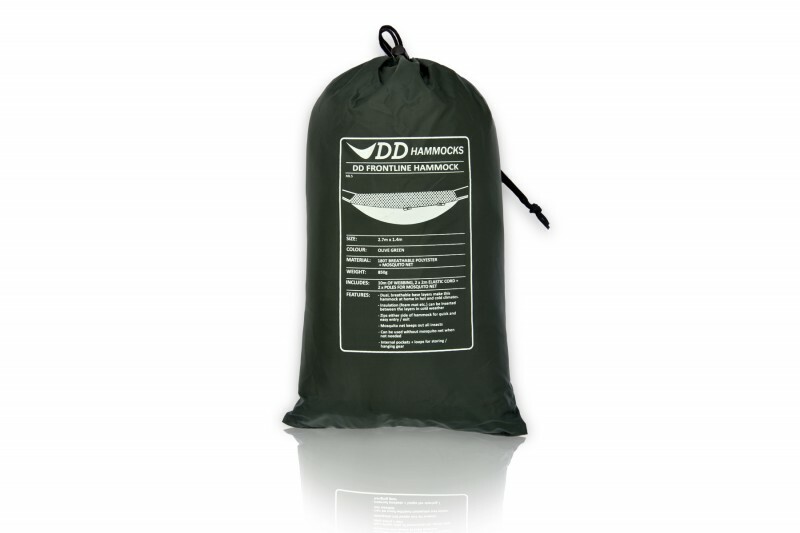 Comes with two zips (one either side of mosquito net) and two double-sided zippers allowing quick entry/ exit either side of the hammock and also allows you to tie the mosquito net up above you, out of the way, when not needed. You also have the option to lie out in the open (without mosi net) - simply tie the hammock up with the mosi net underneath the hammock. 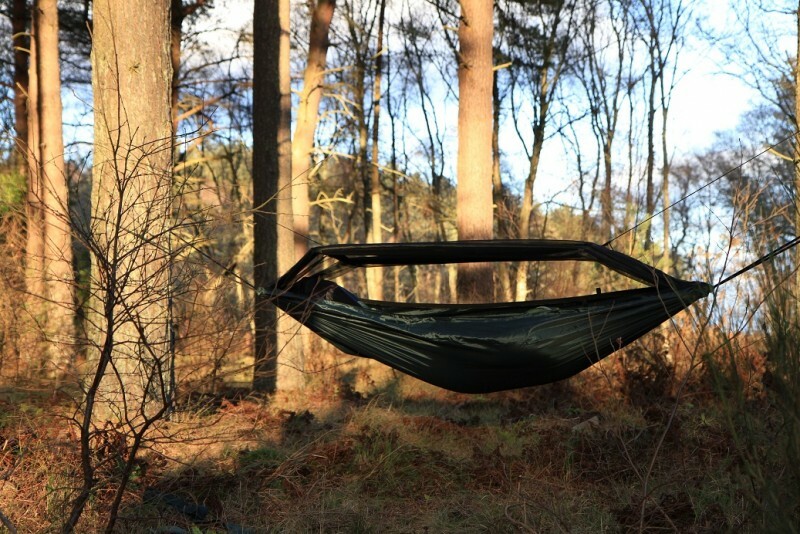 The hammock also features two small internal pockets which are great for storing a torch, phone etc as well as three velcro patches between the two layers to help keep a thermarest/pad in place if cold weather camping. 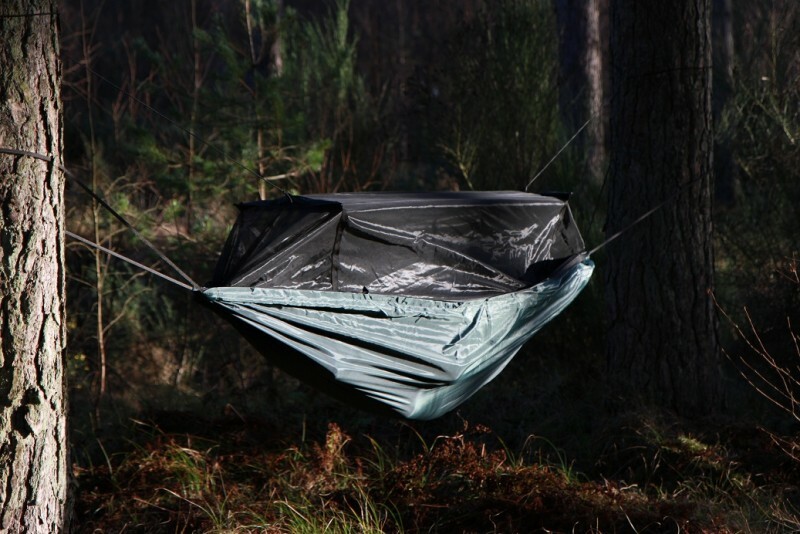 With the waterproof floor this hammock can be used anywhere and along with our Tarp is the ultimate lightweight camping system! *Please note that as the floor is waterproof it (the floor) is not very breathable - if you'd prefer a more breathable hammock please choose our Frontline (the same design but without waterproof base). 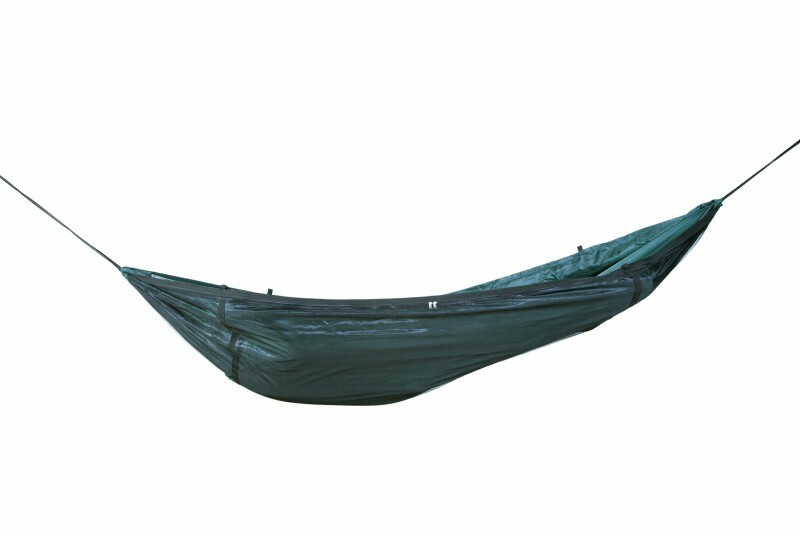 You're reviewing: DD Travel Hammock / Bivi. Two Waterproof Base Layers. 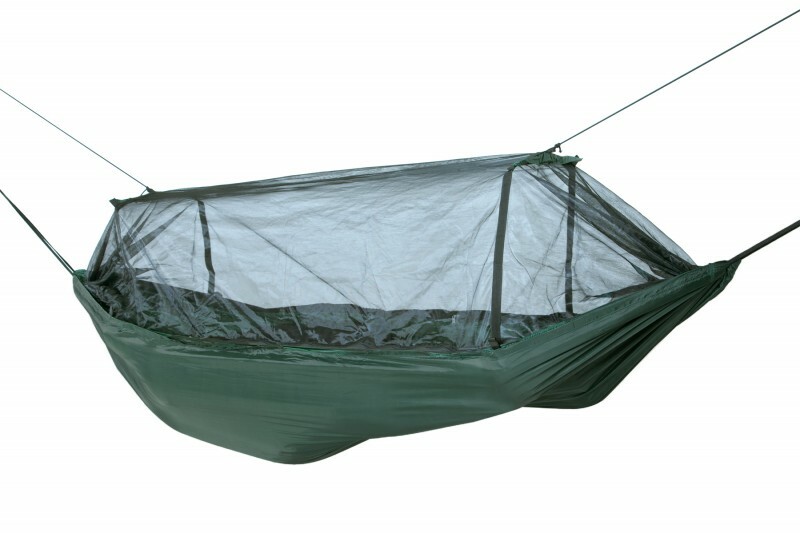 This versatile Hammock can be set up on the ground as a bivi/tent!